Hi everybody !!! 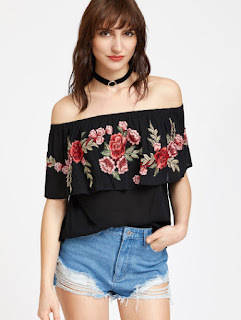 Since last year embroidery is absolutely in at woman fashion. I really like embroidered clothes and accessories. 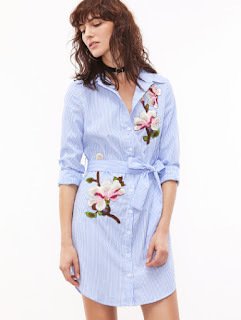 I have made a wishlist from shein with those items. I like this pretty dress with embroidery. 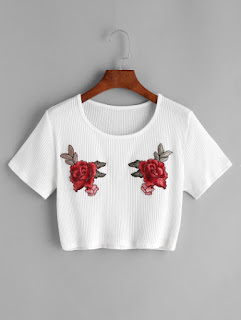 Such a pretty white crop tee. Wonderfull shoulder free bluse . 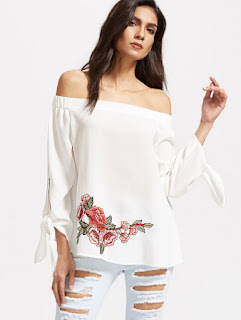 Elegant white shoulder free bluse . 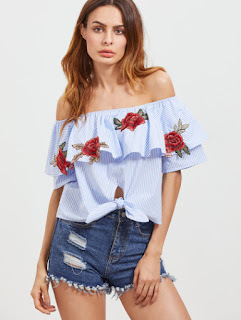 Shoulder free is my favorite style this year. 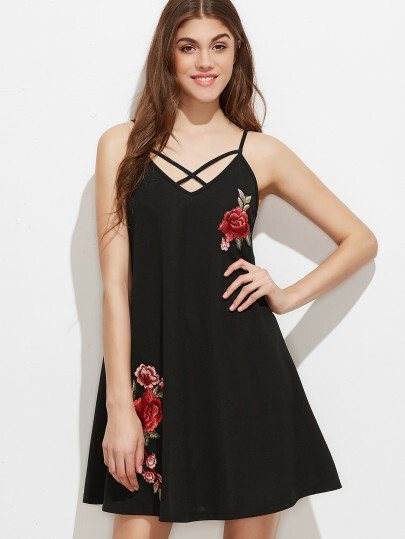 And at least I have choose a pretty black dress with embroidery.